1Can you draw dark energies to yourself? 3Here is a list of symptoms you might feel. 4What Can You Do About It? 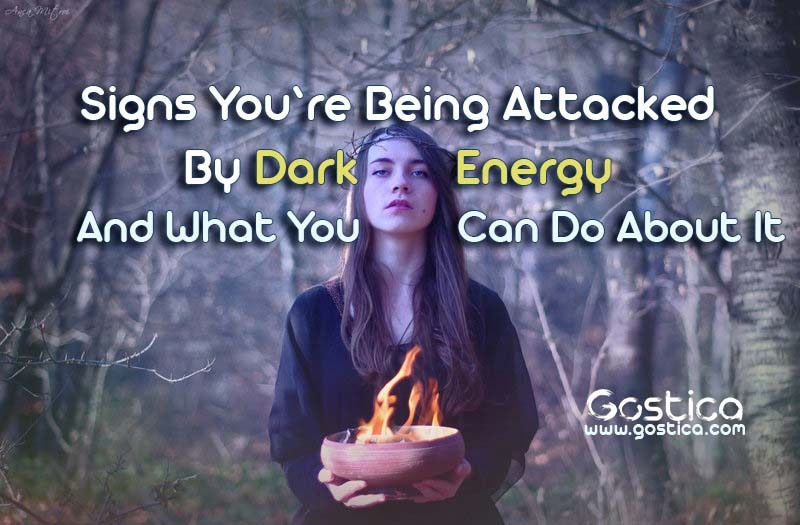 What is a psychic attack, or dark energy attack? It is important to know that these thought forms can be sent consciously or unconsciously. The purpose of writing about this is to inform others of how often psychic attacks occur and to provide knowledge of how to handle it if it does happen. Sometimes, the attack happens quickly without a person meaning to send it at all. It can be as simple as feeling jealous of another and having negative thoughts about them. It can escalate into anger, rage, and revenge thoughts directed at the object of our jealousy. There might not be any real intention behind the emotion but too late it has already been set in motion. We don’t even realize how powerful our thoughts can be. In most cases of psychic attacks, the underlying driving force is fear. It may be fear that has been carried over several lifetimes, deeply buried in the soul’s records. Regardless of the source of the fear and motivation behind the psychic attacks, we have a choice. We do not have to go into fear which feeds the power and ignorance of the attacker. Can you draw dark energies to yourself? When we spend prolonged periods of time focused in states of anger, resentment, bitterness, or any type of fear, this can attract negative energies to us. Depression is highly attractive to dark energies. We all feel anger or fear at times. It is normal to feel, but when we obsessively perpetuate being in a constant state a fear, this is when entities, spirits, and dark energies will attach themselves to us. If you are being psychically attacked, you can feel it. If you tune in, you will notice the signs. Here is a list of symptoms you might feel. icy cold feeling on any part of your body which cuts right through to your bones and does not go away. More obvious attacks may be felt like someone trying to get into your energy field (as a violation of your personal space). This can be felt most commonly around the back of the neck, shoulders, or back. There are certain things within your power you can do to avoid future attacks. Trust your intuition if you feel like you are experiencing an attack. Understand that nothing can harm you or invade you without your permission or invitation. The trick is realizing that you may be giving out an open invitation or permission to victimize you. For instance, if you have been broadcasting a resonance of self-hatred, a dark entity might accept the opportunity to abuse you. Drink pure water and activate it with Love/Light by holding it while thinking or feeling love. You can also smudge with white sage to purify your space and rid yourself of negative energies. If you do this on a daily basis it will help to keep you clear of negative energies. Smudge your home, vehicle, work area, and body. It is so important to have self-awareness and not give more power to the information you are receiving. If you feel energies, you can let them know that you are not available to engage with them and they are NOT allowed to invade your space.